Video editing nowadays is always a hot topic, as most people cannot do it properly, making it one of the rarest skills. If you are planning to start your career, with video editing, go for it. There are numerous scopes. If you are having certain other skills, or have a lot of knowledge about something, you can also post videos, become an online influencer, become famous, and earn money. You know, what I am talking about. In the age, when most people watch YouTube in their free time, and on their way to the offices, the importance of video editing is quite evident to everyone. Yes, making videos make sense, but, why video editing software! You must be liking quality videos, and for that, video editing plays an important role. 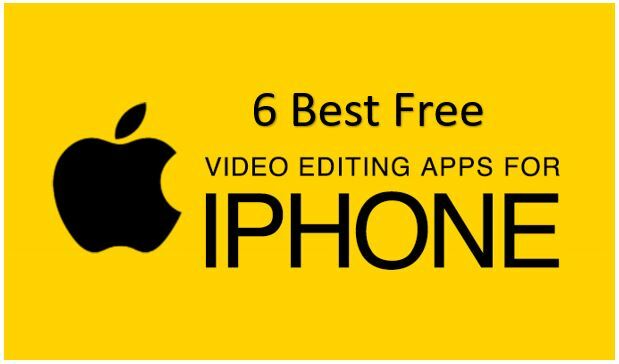 As far as video editing software are concerned, you can find a number of great free video editing software, if you are planning to start a YouTube channel, or just want to learn the basics of video editing. Adobe Premiere is one of the most popular video editing software, and most professionals use Adobe Premier for all their needs. But, oh! It is expensive. Don’t worry, you can surely get many video editor free software, to learn, before you make your big investment and purchase a paid video editing software. 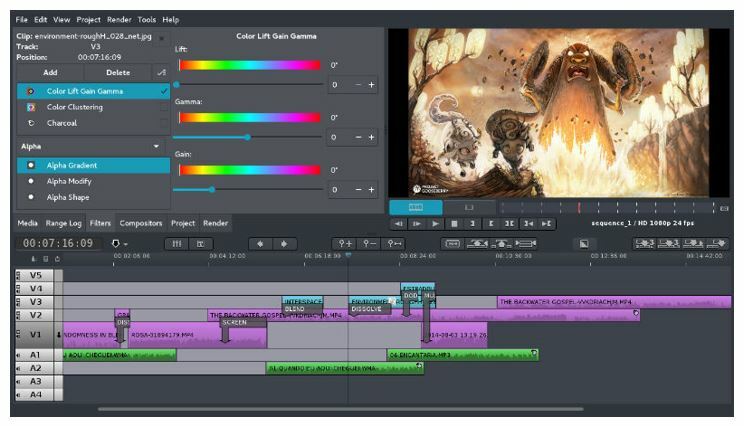 Let’s have a look at all the 11 best free and open source video editing software for Windows, MacOS, and Linux, worth using. Thank me later to save your time. If you are planning to start your new YouTube channel and is looking for a video editing software for YouTube free, or just want to learn the basics of video editing, without spending any money, Shotcut is the best video editing software, which you should choose, without looking at the other alternatives. Shotcut features a very beautiful and user-friendly interface, making it the perfect choice for the beginners. Though, the software is free, don’t think it is cutting down on features. 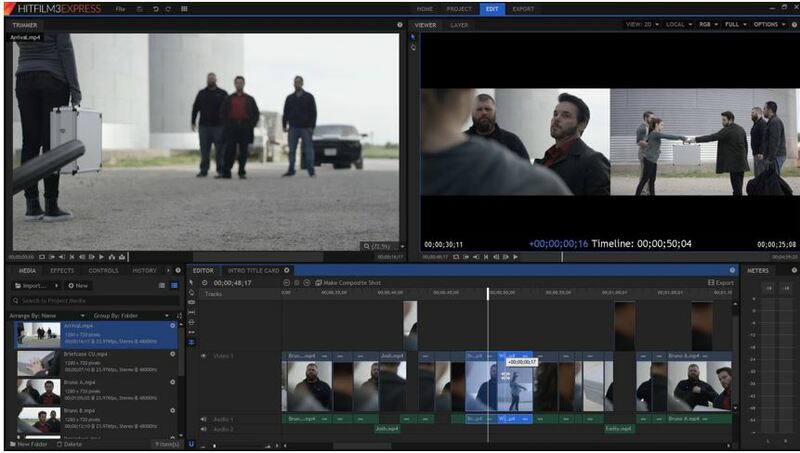 On using Shotcut judiciously, you can get hands on some features, available only on premium video editing software. With the help of Shotcut, you can even blend video with audio, add a number or transition effects, and do almost all the things, which are elementary in video editing. Shotcut is open source, and is available Windows, Linux, Mac, making it the best friend for video editors, for all the platforms. Shotcut also support a plethora of video and audio formats, which will eventually make your life, and video editing experience, a lot easier. For those looking for a video editing tool which will also function as a video encoder, Avidemux is the best video editing software for beginners. It comes with a number of great tools, which most users will surely need, to make their videos look cool and crispier. The bottomline of Avidemux is that you can find a number of great filters, for different tasks, and come with numerous encoding options. The only feature, missing in Avidemux, is the timeline feature, which can be a problem for certain class of users, but it is definitely not a deal breaker. To give the final touch to your video, Avidemux is the best tool, which you can find, for all your requirements. Just like Shotcut, Avidemux is open source, which makes it available for Windows, Linux, and Mac. If you are not having any plans to invest in a video editing software, but want a professional video editing software free download, Hit Film Express is the perfect one for you. It is one of the best professional video editing software for free. By having a look at the user interface, the power of the software will be evident to you. Yes, it comes with all the features, which most people need out of their video editing software. It comes with a huge library of visual effects, making it the perfect piece of video editing software for everybody. The only problem is that all the features should be learned before you can become the master of Hit Film Express. If you are having a lot of time to dedicate, for learning Hit Film Express, go for it. Once you dedicate the time, you will not regret it, for sure. Though the software is completely free to use, you can get some extra features by paying some nominal one-time money for the software. Thus, if you are long for a cheap video editing software, Hit Film Express is for you, as well. But, if you are willing to learn using the software, go for the free version, and it will surely fulfill most of your needs. OpenShot video editor is yet another great open source video editing tool, available for Windows, Linux, and Mac. 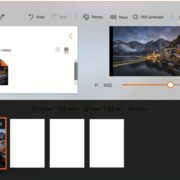 If you are looking for an easy to use video editing tool, without spending a lot of time in learning it, OpenShot Video Editor is going to be the best tool for you. There are a number of great color enhancement options, and most features are easily available directly on the screen. 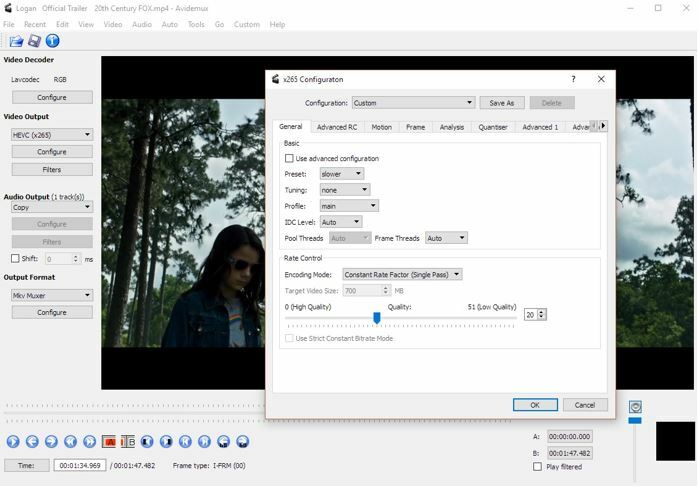 Lest you find difficulties using OpenShot, you can find numerous OpenShot Video Editor Tutorial on the internet. 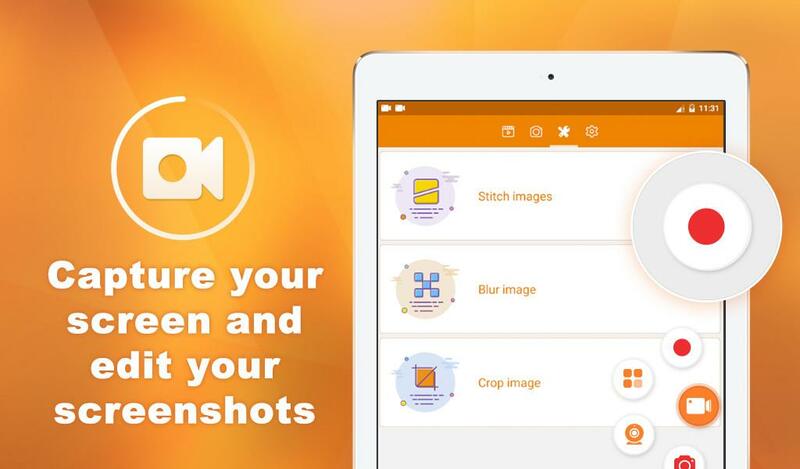 The user interface offered by OpenShot is also very user-friendly, which is another reason to download and use it. Working with multiple audio and video files, and adding them to a timeline is a charm, with OpenShot Video Editor. The rendering is also very fast, compared to other video editors, on the same hardware, making OpenShot Video Editor download the first task for video editing enthusiasts. OpenShot being open source, and because of the love it gets, from the programming groups, the software is updating itself constantly. Apart from using OpenShot personally, I read numerous OpenShot video editor review, and none of them gave negative reviews about the software. 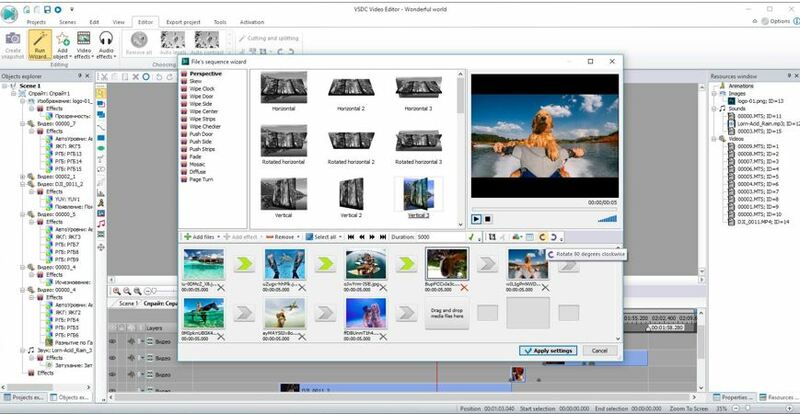 If you are looking for a minimal video editor, with support for non-linear video editing, VSDC Video Editor can be the best free video editing software for windows 7. Don’t worry, I tried it on Windows 7, but there is no reason that it will not work on other Windows editions. The software is lightweight, free, and you can edit up to full HD videos, with this software. 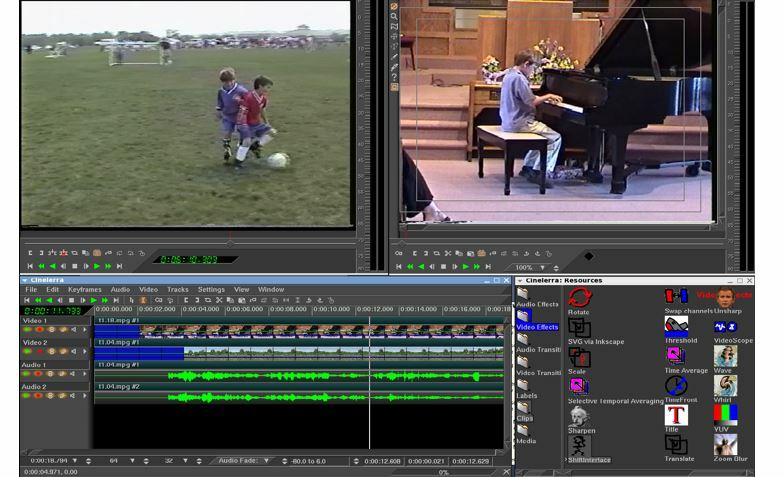 You can seamlessly work with photos, videos, and music, add them to timeline easily with the VSDC Video Editor. Just like every coin has a tail, there are some cons, with the VSDC free video editor. The software is an old one, the output from the video editor will be clipped to 30 frames per second. Thus, if you do not want more than 30 frames per second, go for the VSDC Video Editor. The software can’t take maximum advantage of hardware acceleration, which is another problem. But as I already said, it is a minimal video editor, for bit so heavy video editing tasks. For the Linux guys out there, having the interests of video editing, or want to start a YouTube career, don’t look anywhere else, and download Cinelerra today. The software is loaded with a number of great features, just like premium video editing software like Adobe Premiere Pro and others. The user interface is very simple and user-friendly, making it a great video editing software for beginners, as well. The timeline feature can come handy for users, who want to work with multiple multimedia elements at once and export them to video files. 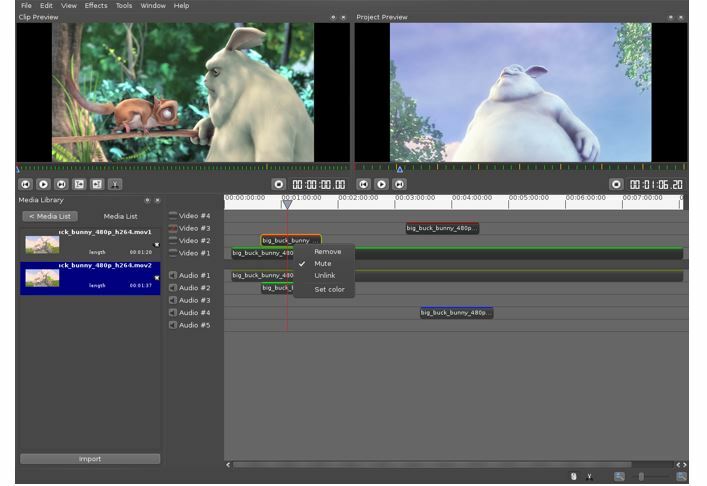 Cinelerra also supports multiple video and audio formats, and the software is a 64-bit version, which makes the software function pretty fast, compared to other software of its class. There is hardly anything to dislike about Cinelerra, when the full software is offered for free. Using the software for some time will surely make the users, master of Cinelerra. The VideoLAN Movie Creator is one of the best video editing tool, which you can use, in order to give the finishing touch to all your videos. I will not recommend VideoLAN Movie Creator, as a one-stop video editing tool, as it is not that powerful. But if you want to do some basic video editing, work with multiple videos and audio elements in a timeline, I will recommend, VideoLAN Movie Creator, and it will fulfill your needs. VideoLAN Movie Creator offers a clean user interface, where importing media files is quite easy, and come with a preview pane, to ensure, you are working in the way you want. But, if you want to play around with the software, I will recommend you not to do that, as the software might become unstable in such cases. Just use the software for all your video editing needs, supported by VideoLAN Movie Creator, and it will be your best friend. VideoLAN Movie Creator is one of the best open source video editing windows 10, which is also supported on other platforms like Linux, Mac, etc. 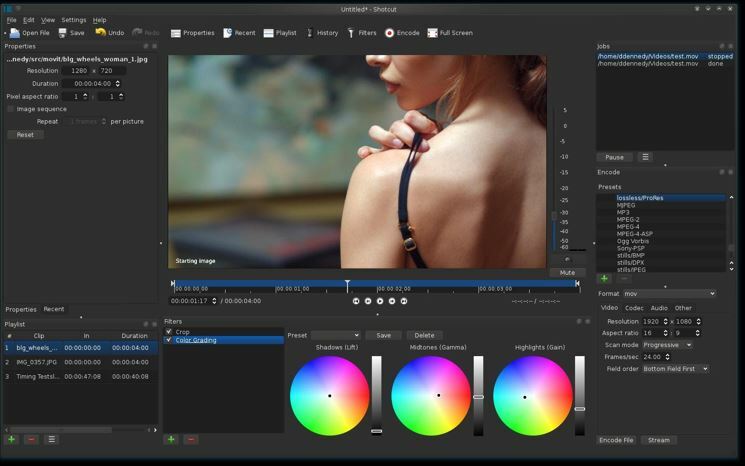 Another good news for the Linux users out there is that Flowblade is one of the best lightweight video editing tools, which you can use, as a YouTube video editor. If you are planning to start your careers as a YouTube online influencer, Flowblade can come in handy for you. But, if you are looking for a great and premium set of features, Flowblade is not for you. Most YouTubers hardly need heavy video editing. The Flowblade software comes with a great library of effects, which can help you show short clips, photos, within your video recording, which is too handy for most users out there. Need a video editing tool, with everything simple, and do not need a lot of time to learn! Go for Flowblade. Unfortunately, Flowblade is available only for Linux, and thus, sorry, Windows and Mac users. If you are looking for an alternative to OpenShot video editor for Ubuntu, give Flowblade a try. For the majority of the Windows users out there, Windows Movie Maker is the best video editing software for YouTube entrepreneurs and other video enthusiasts. 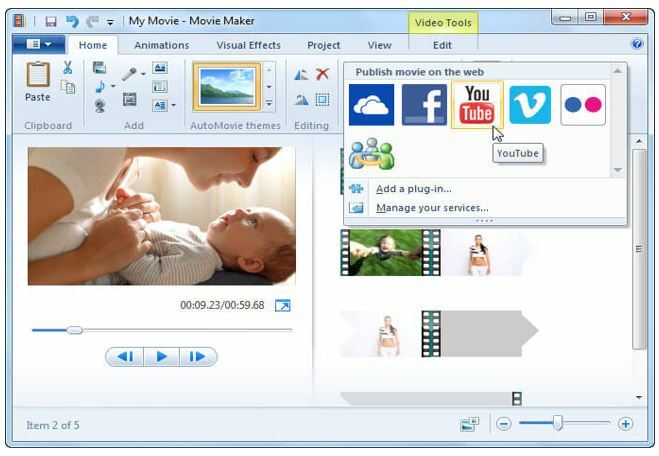 I will not say, it is a full-fledged video editing tool and meant for professionals, but if you are looking for a limited set of features, Windows Movie Maker is the best one for you. Don’t worry, the features are not that limited. You can get a huge library of effects, and get a timeline features while working with Windows Movie Maker. Windows Movie Maker can be downloaded from the Windows store, for free, if you are having Windows 10, if you are using an older version, most Windows editions like the Windows Ultimate editions come with Windows Movie Maker pre-installed. Even if you are a professional video editor, but want to do some basic tasks with your video, you can use Windows Movie Maker, and you will surely not the complaint about it. 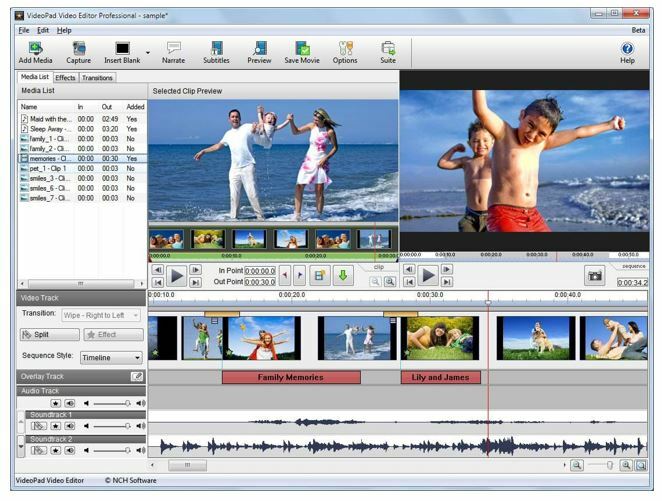 The VideoPad Video Editor is a video editing software by NCH software, which is developed, keeping the appetite of various users in mind. 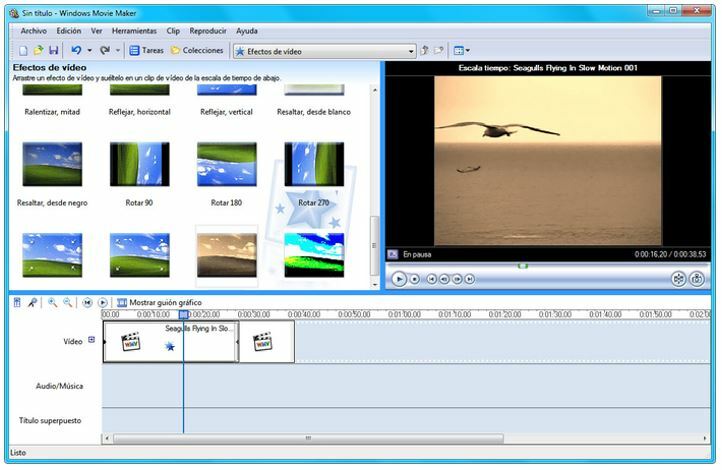 The VideoPad Video Editor comes with a commercial version for the professional users, a home various, for basic users, a free version, for the novice users. I will recommend you to go for the free version, and I am sure, you will not be disappointed with that. 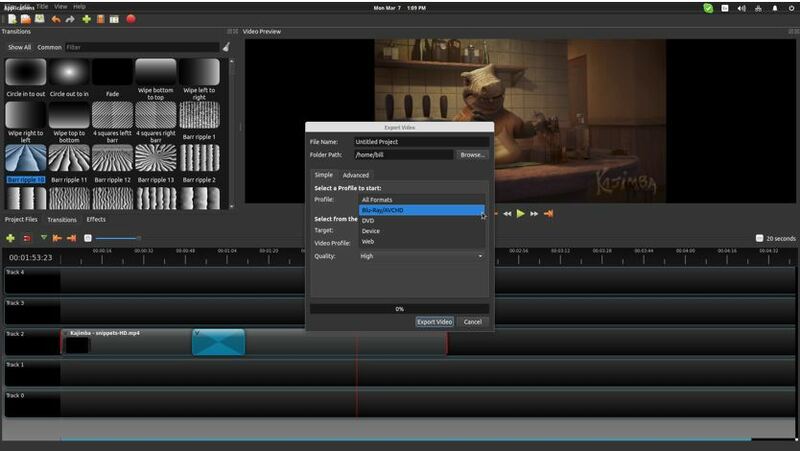 The free version of VideoPad Video Editor comes with support for almost everything, which most users need. You can get a timeline, a great library of effects, which though is bigger for the paid versions. The only missing feature is the green screen feature, for which, you will have to upgrade to the full version. But, that is not going to be a deal breaker for a video editor, which come with such a huge set of features, just like most other premium video editing software. For users, who are comfortable to do almost all the tasks on their browsers, Movie Maker Online is the best free video editor online. You can upload your photos, videos, music from your local storage, and get started. Apart from local storage, you can even add photos and videos from your Facebook account. The user interface is not that familiar with most other online video editing software, but using the software for some time will make you familiar with it. The only thing, I missed in the Movie Maker Online software, is the option to import from cloud storage. It should be present in all kinds of video editor online, and the same is available on the premium competitors of Movie Maker Online, which are available. Not everything works according to our needs though. But, Movie Maker Online can be the best tool, if you have a large bandwidth to work with videos online, and the option to import videos from cloud storage was available. The website being completely free to use, you can find ads, which is not a big deal to cope with. Just create an online account with Movie Maker Online, and get started. I tried to include almost all types of video editing software for all kinds of user out there. If you are having a different requirement, or want more from them, you can always keep more than one video editing software, as come on! All the video editing software, I have listed here, are either free or open source video editing software. You just need some extra space for the video editing software. 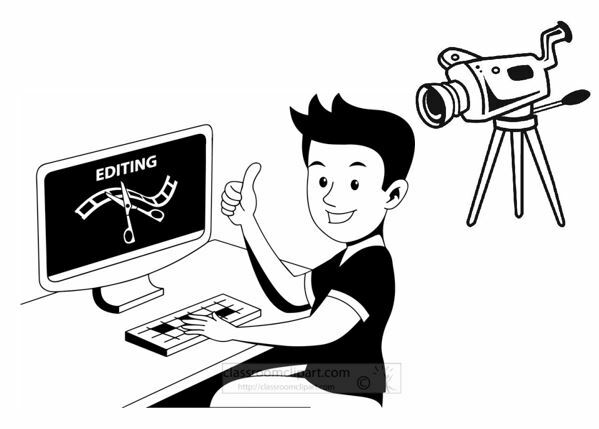 Hope the small list of video editing software will surely come in handy, if you want to be a professional video editor, and start your journey, with a free or open source video editor. Do not forget to give your feedback, in the comment section down below.